Buju Banton has begun recording fresh vocals and people can’t wait to hear the Reggae star first single. The Reggae star has been pictured recording for long-time friend, American record producer, a hip-hop mogul, Dj Khaled’s eleventh studio album, Father of Asahd. Khaled has also been documenting every moment. 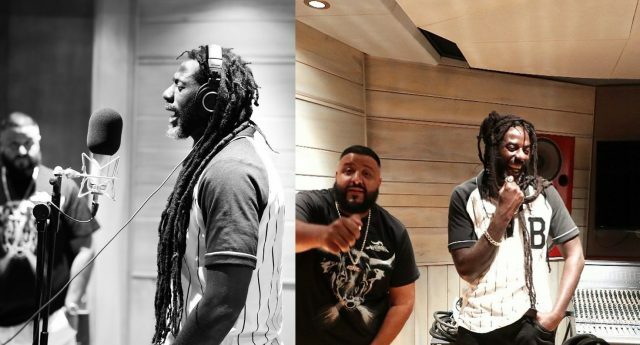 Khaled flew to Jamaica Sunday to reunite and add a few touches to the project, with the help of Buju Banton who was just released from prison. Khaled has since shared a video revealing the moment he introduced his family to Buju in Kingston. Fans can expect Buju to release music in early 2019 ahead of his highly anticipated concert in Jamaica in March followed by Trinidad and Tago in April.